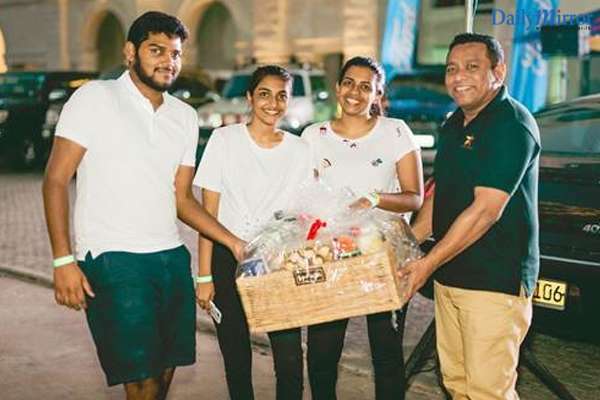 Serendib Flour Mills’ 7 Star Wheat Flour brand recently stepped forward as the official Nutritional Partner of Conquer Colombo for the third consecutive year. Organized by the Rotaract club of Achievers, Conquer Colombo is a citywide scavenger hunt in which a number of teams compete with each other and participate in a wide range of activities set up across the city. Having organized the ‘7 Star Rotti Challenge’ in 2017 and the ‘7 Star Bread Challenge’ in 2018, this year, SFML sponsored the ‘7 Star Cupcake Challenge’, which put an interesting spin on the competition and tested the contestants’ ability to co-ordinate and work together with their fellow teammates. 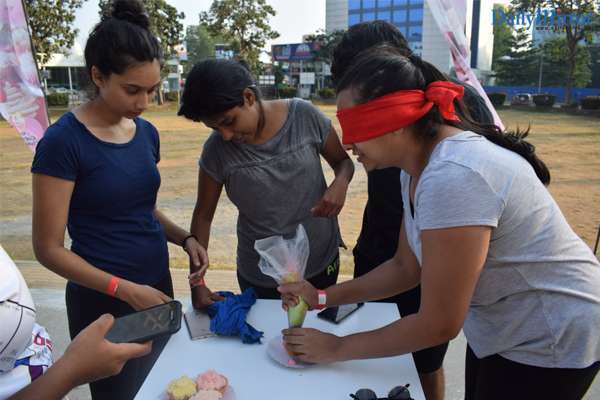 While the scavenger hunt kicked off at the Racecourse Grounds in Colombo 07, the ‘7 Star Cupcake Challenge’ was stationed at the Philip Gunawardena Playground in Hyde Park. This year, a total of 110 teams participated in the hunt, each of which were given a set of clues to solve in order to move ahead in the competition. With each completed challenge, the teams accumulated points based on their performance. SFML’s ‘7 Star Cupcake Challenge’ included one member of each team attempting to ice seven flowers on a cupcake whilst being blindfolded. 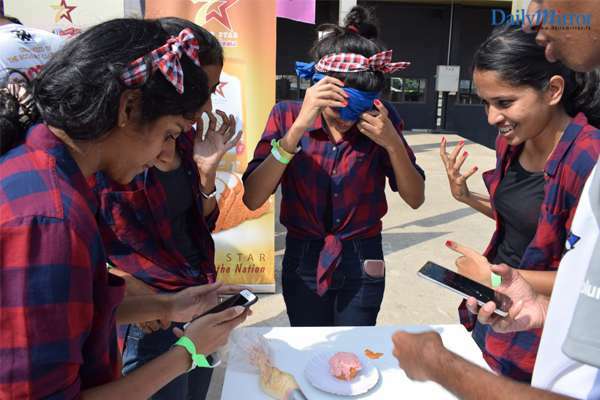 With their fellow teammates directing them, the blindfolded contestant had the task of icing the cupcake within 6 minutes. The teams that successfully iced all seven flowers scored 4000 points while those who managed to ice 5 and 3 flowers received 3000 and 2000 points respectively. In addition, the teams were invited to snap a photograph of their decorated cupcakes to post on Instagram, with the hashtag #7starcupcakechallenge while tagging the 7 Star Wheat Flour page. 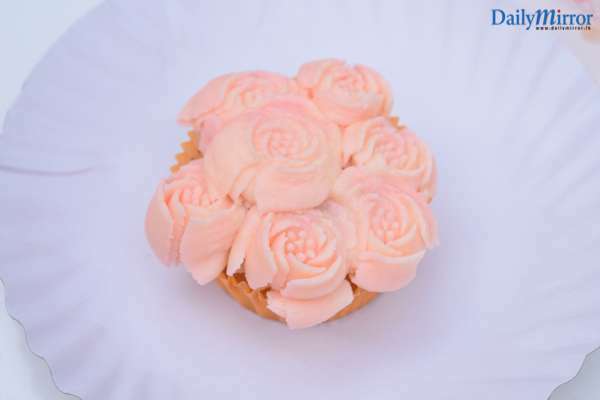 Selected by a panel of expert patissiers, the team that assembled the best-looking cupcake was awarded a hamper. Held for the fifth year in a row, Conquer Colombo is the biggest scavenger hunt in Colombo. This annual competition is conducted as a means of raising funds for Project Life - a community service initiative that aims to eradicate Chronic Kidney Disease (CHD) in the north of the country. Funded by the proceedings from Conquer Colombo, Project Life is working towards building a robust rainwater harvesting and purification system for residents of the north. Serendib Flour Mills is one of the leading flour mills in Sri Lanka and is a part of the highly diversified Al Ghurair Foods (AGF) in Dubai UAE. The company’s 7 Star brand of flour has been nourishing the nation for 10 years and embodies purity, innovation, quality, freshness, expertise, service and trust. SFML is committed to becoming the number one producer of wheat flour in Sri Lanka and the preferred flour supplier in international markets. SFML launched its operations with a state-of-the-art single-line capacity wheat flour mill in the Port of Colombo on 26 May 2008. The company has developed and implemented an integrated management system (IMS) based on ISO 9001:2008, ISO 14001:2004, BS OHSAS 18001:2007 and ISO 22000:2005 requirements. The system complies with applicable laws and regulations, international standards and codes, and best manufacturing practices in the areas of quality, environment, occupational health and safety and food safety.